ounded in the year 2015, R Brothers Dance Studio in Charai-Thane West, Mumbai is amongst the revered academies for dance. A team of instructors trains a plethora of students in a variety of dance forms.we conduct clases for various dance forms including Bollywood, B-Boying, Hip-Hop, Locking Popping, Zumba, Kathak, Salsa, Contemporary and Hula Hoop. Catering to almost all age groups, there are special batches for KIDS at this dance studio. 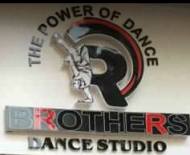 R Brothers Dance Studio conducts classes in Aerobics, Dance and Yoga. It is located in Thane West, Thane. It takes Regular Classes- at the Institute.